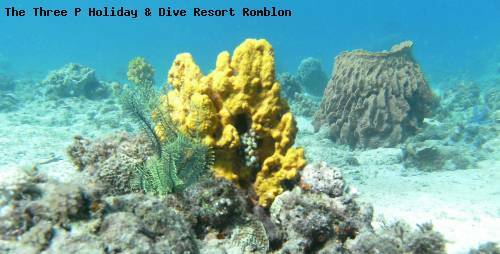 Best dive-season / How to get there: All year around, Logbon Fish Sanctuary can be reached in 15 to 20 minutes from Romblon Town or Lonos, Romblon. At the Logbon Fish Sanctuary, near Logbon Island, you will find several reef sections teeming with colorful marine life to explore. A good place to see big lobsters and cuttlefish. Suitable for all level divers.